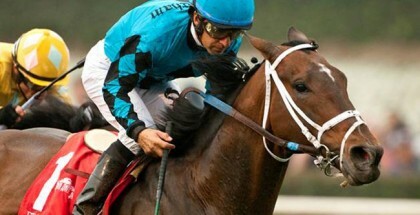 Holy Bull Stakes 2015 at Gulfstream Park; Odds & Events: The Holy Bull Stakes is set to take place at Gulf Stream Park in Hallandale Beach, Florida on Saturday, January 24, 2015. 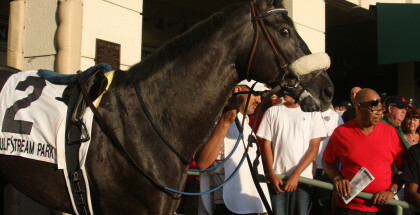 The 2015 Lambholm South Holy Bull Stakes is a Grade 2 race for 3-year-olds and it run on a 1 1/16 mile dirt track. 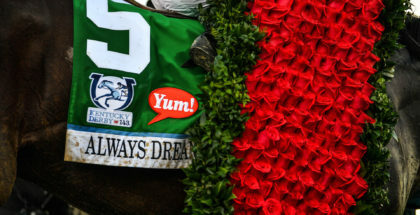 There is a guaranteed $400,000 purse for the first place finisher in addition to ten points on the Kentucky Derby Trail. 8 Upstart 2-1 Ortiz/Violette, Jr. 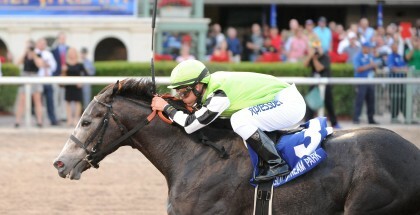 The Holy Bull Stakes is set to take place at Gulf Stream Park in Hallandale Beach, Florida on Saturday, January 24, 2015. The early birds can arrive early and participate in Breakfast at Gulfstream Park. It is held every Saturday from 7:00 am-10:00 am and will surely entertain everyone in the family. Breakfast is just $10 per person for an all you can eat buffet and children 3-and-under eat for free. 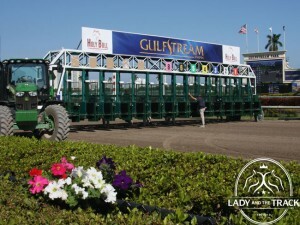 The entire family is welcome and Breakfast at Gulfstream also includes character appearances, giveaways, prizes, guest speakers, and a free tram tour around the barns. Breakfast is held in the North Tiki Area rain or shine and patrons must arrive before 9:30 am for the tram tour. No reservations are necessary for groups less than 10 and tram tours are on a first come first serve basis. If you are more of a Night Owl then after you enjoy The 2015 Holy Bull Stakes at Gulf Stream Park you can also take part in the $400,000 Scratch N’ Play Giveaway at The Casino at Gulf Stream Park. The giveaway is from 9:00 am-Midnight. You enter to play at the Casino where there will also be live entertainment on the 2nd floor of the Casino from 8:00 pm-midnight. Whether you are enjoying breakfast, the exciting stakes races or an evening at the casino, you will be sure to impress in a sixties print dress. Vintage prints were seen all over the runway this season. Try a geo-print dress to keep you cool and stylish at Gulfstream Park. If you need a little warmth you can add a turtleneck underneath your dress or if it’s a warmer day just throw on a light cardigan. For a more mod go-go inspired look try a black and white striped dress, just make sure to stay away from any knee high boots which would be too literal of a translation and would look too much like a coupon. For a more subtle nod to the 60’s print try a yellow dress with a circular pattern. The point of this trend is to just have fun so just pick a print that inspires you! Keep your hat solid so it doesn’t clash with your print and you will be set to go and enjoy everything that Gulfstream has to offer from breakfast to the race to the casino!